Kōtetsu, later renamed Azuma, was the first ironclad warship of the Imperial Japanese Navy. 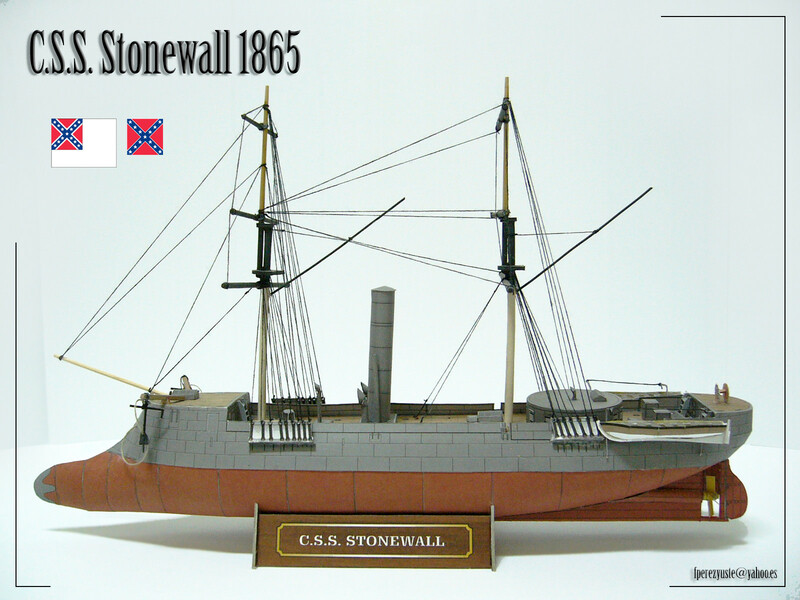 Built in Bordeaux, France in 1864 for the Confederate States Navy as CSS Stonewall, and acquired from the United States in February 1869, she was an ironclad ram warship. 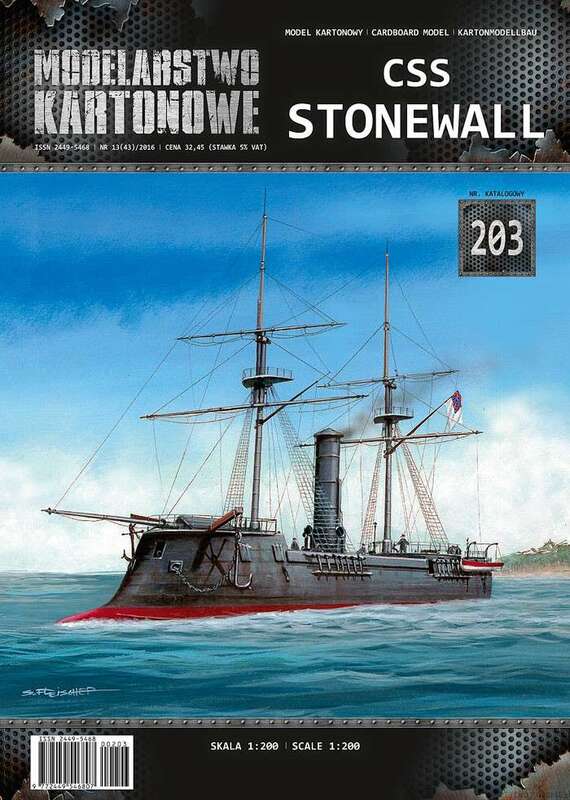 She had a decisive role in the Naval Battle of Hakodate Bay in May 1869, which marked the end of the Boshin War, and the complete establishment of the Meiji Restoration. 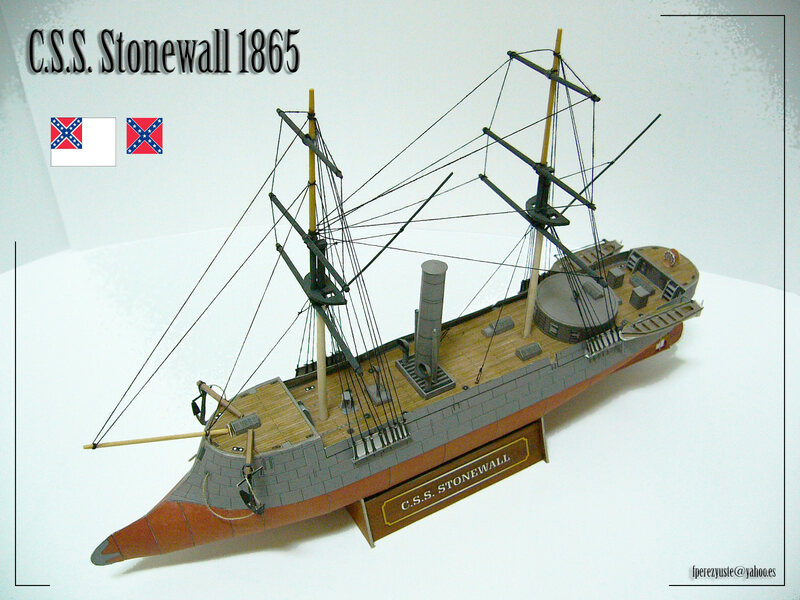 This model is a representation in the Confederate period. Paper Model Details: Over 230 parts on five part pages and on page of formers. Full-hull and waterline option. Sails. 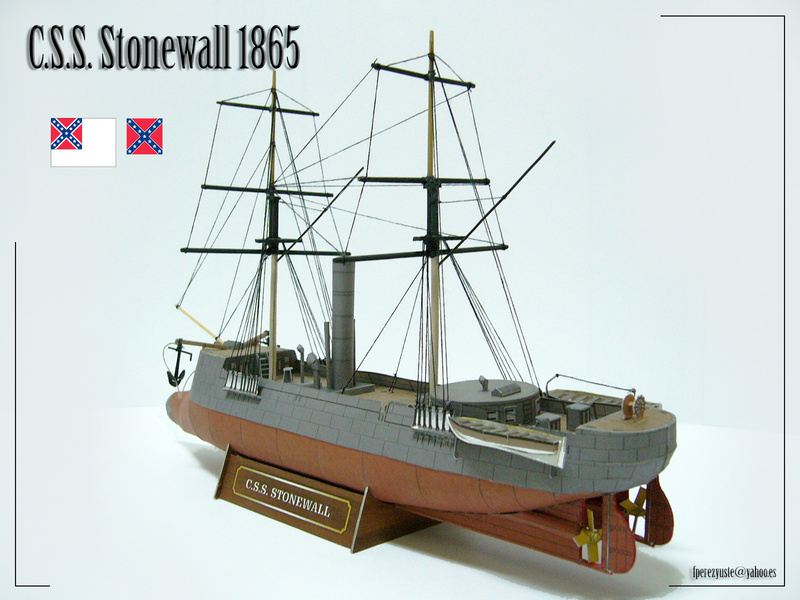 Japanese Ironclad version. Display stand, three pages of construction diagrams. Bulkhead-and-joiner-strip construction. Pdf version of the publication of the publisher Pro-arte.